Blog » Does Branding and Label Design Impact the Taste of Wine? Does Branding and Label Design Impact the Taste of Wine? For decades, food and beverage manufacturers have understood the impact that product labels can have on consumer behavior, which is why many companies spend a lot of time and money developing eye-catching packaging. Research has shown that the right combination of colors, fonts and graphics can attract specific customer groups, promote brand recognition and create a lasting consumer-brand relationship, but few studies have looked into the role product packaging plays in consumption satisfaction. Instead, marketers tend to focus on the pre- and post-consumption effects of branded labels and containers, all but ignoring the possibility that packaging design may have an impact on how food and beverages taste. In early March, CBC News spotlighted an interesting study out of the University of British Columbia's Okanagan campus, which found that a wine label's branding and design choices have a noticeable effect on how consumers experience the beverage's taste. The study discovered that people are more likely to enjoy wine products served in bottles which match their personal identities. If true, this finding has the potential to completely revolutionize how wine producers bottle and market their products to mass audiences. Darcen Esau, the UBC researcher behind the study, traveled to Tuscany, Italy, to conduct several rounds of field research as a means of testing his original hypothesis. Esau started by collecting information through online surveys, dividing a wine label's branding and imagery into four distinct impact categories, including personality, narrative, design type and conveyance of luxury. This allowed Esau to further aggregate his findings into specific perception-based classifications, to provide actionable insights that wine producers could implement during their label design process. The next phase of the study asked online users whether they thought certain wines would be enjoyable based solely on the label's design — many of the respondents had no prior knowledge of traditional quality markers, such as production region, vintage or year. In most cases, users anticipated they would enjoy the taste of wines that had relatable and appealing labels. These results fall in line with a 2005 study published in the British Food Journal, which found that packaging attracts consumer's attention to particular brands and influences their perceptions about a product's quality. Darcen Esau incorporated the popular "triangle test" into his research process on the relationship between wine labels and consumers' sense of taste. The final stage of the study involved two in-person tests that evaluated how adept the average wine drinker is at identifying differences in taste, and the impact their perception had on overall consumption satisfaction. Esau's first test served as a control — he asked respondents to taste three glasses of wine (two of which contained the same brand) to see if they could tell which one was different. 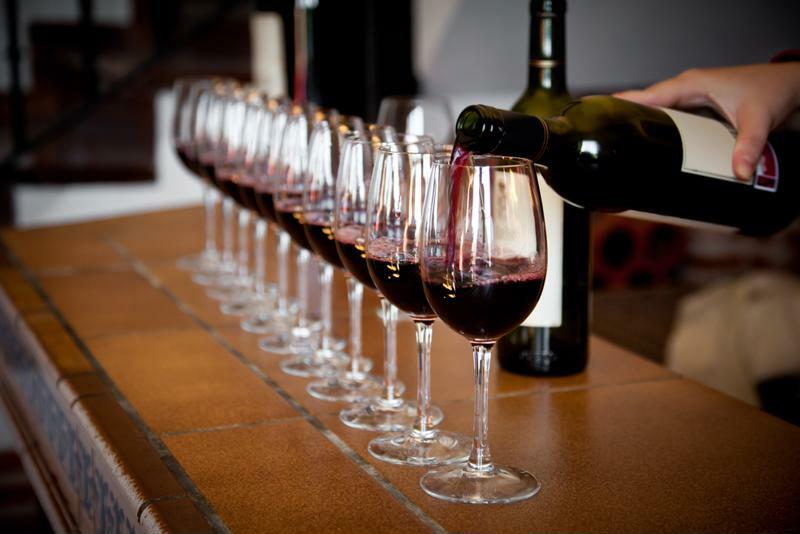 Most participants were unable to accurately distinguish between the wine samples on the basis of taste alone. The second in-person test involved two wines with distinct labels, one that featured a contemporary style and another which sported a traditional design often seen on vintage bottles from France and Italy. The result was a nearly even split, as participants gravitated toward the wine that had the most personal appeal in terms of label design. "Regardless of what wine was in the glass, if somebody identified with the label they thought the wine tasted better," said Esau, in an interview with CBC News. The results also highlighted that consumption satisfaction and taste had more to do with branding than whether the label made the wine look classy or expensive. While the UBC study has not yet been formally published in an academic journal, marketers in the wine industry are already brainstorming about how the connection between brand perception and taste can be leveraged. But when it comes to standing out on a packed shelf of competitors, a bombastic label design might not necessarily yield positive results. A 2001 study from the Journal of Product & Brand Management pointed out that effective packaging communicates the unique value of a product in a way that differentiates it from similar alternatives. Rather than relying on an eye-catching design, wine producers should instead focus on translating their brand for the types of customers they hope to attract. By understanding what identity markers specific consumers gravitate toward, marketers and designers will have a stronger idea of what style their product labels should incorporate.